Zambia's acting president Guy Scott backed down Tuesday after his attempt to sack the ruling party chief sparked riots and a rejection of his authority as a white leader in Africa. 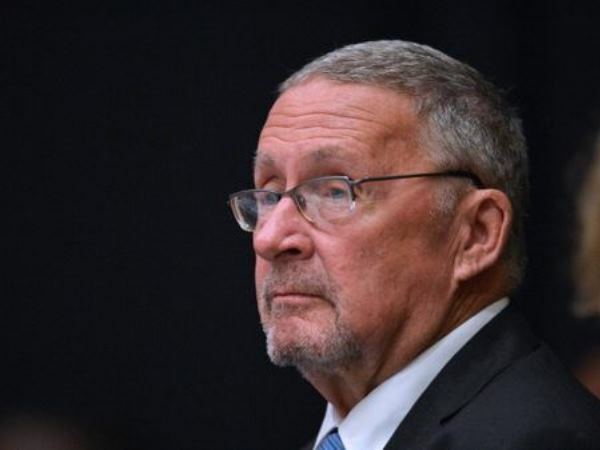 Scott reversed his decision on Monday to sack Patriotic Front (PF) Secretary General Edgar Lungu -- just days after the death of president Michael Sata -- following fierce criticism and a meeting with cabinet ministers. Lungu would remain in place at least until after Sata's burial on November 11, and "the central committee of the PF will then be convened," Scott said on state radio. Hundreds of Lungu supporters rampaged overnight in the capital Lusaka, stoning motorists, burning tyres and singing anti-Scott songs before being dispersed by police firing teargas. Ahead of Scott's retreat Tuesday, crowds were seen assembling again in several townships, possibly in preparation for more protests. "Can you believe it that, 50 years after independence, we have a white man as president?" Willy Phiri, a party supporter, told AFP in Lusaka's Olympia area. "He comes and starts to fire genuine members. Edgar is our member and Guy wants to take us back to colonialism. We won't accept it, Guy has to go," he said. Lungu, who is at the centre of a succession battle following Sata's death, had accused Scott of insulting Zambian culture while the country was mourning the president and declared his sacking illegal and provocative. Scott, Africa's first white head of state since apartheid, was previously the vice president and is due to guide the copper-rich southern African nation to elections within 90 days. Scott's problems mounted as the man he named to replace Lungu as secretary general of the ruling Patriotic Front turned the job down. "I have declined the appointment, it's against our culture to accept an appointment when we are still mourning. We have to bury our president first," Davis Mwila told AFP. Finance Minister Alexander Chikwanda, Sata's uncle, also criticised Scott's move, saying it had the potential to "alarm" Zambians and threaten the country's peace and stability. Lungu, who is also minister of defence and of justice, had been tapped by Sata as caretaker leader when the late 77-year-old left the country for medical treatment last month. Sata died in London of an unspecified ailment, and the cabinet appointed Scott acting president in line with the constitution. Scott is not eligible to stand in the forthcoming elections for president as his parents were born in Scotland.